If are a child of the 70’s, I have a nostalgic favorite for you to consider. And today’s kids are clued in to the magical powers of this exploding candy too. 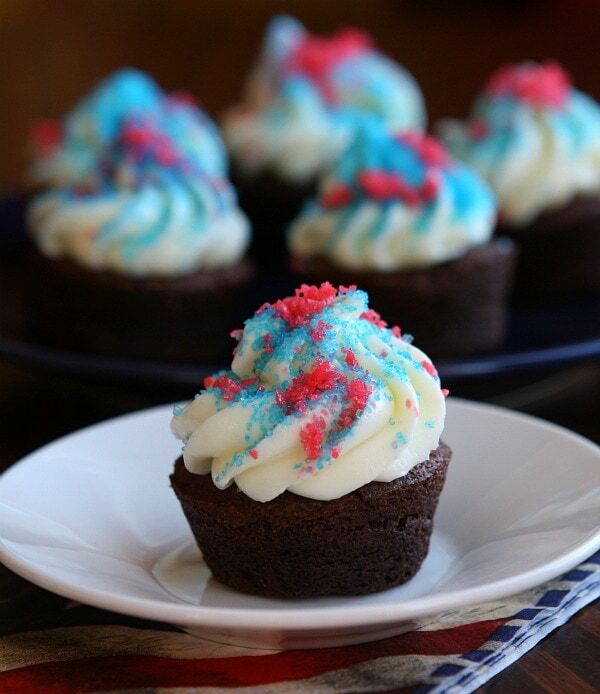 Here’s a super easy, last-minute 4th of July idea using these fizzy little crumbles: Pop Rocks Brownie Bites. 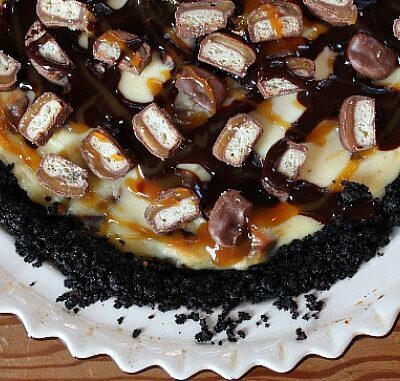 I usually go all-out and make everything homemade, but this recipe you don’t really need to. 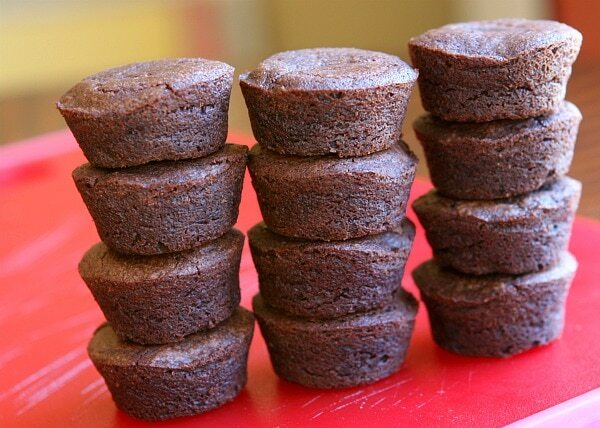 You can take the time to make your own brownie bites in mini muffin pans, as long as the tops come out nice and smooth and the brownies are sturdy enough to pick up. 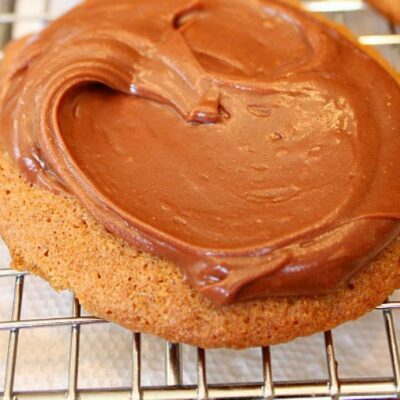 Avoid that hassle and just pick these up in your market’s bakery (or one of those warehouse stores). The ones I bought were just as good as anything I can make at home. They’re innocent looking enough, but be careful… you’ll find yourself wanting to pop one after another into your mouth. Brownies (even store bought) are hard to resist. Again, you can use any frosting you want here. If you have a favorite homemade frosting that turns out more firm than wet, use that one. Otherwise, just use the easy canned frosting that you find in your market’s baking aisle. 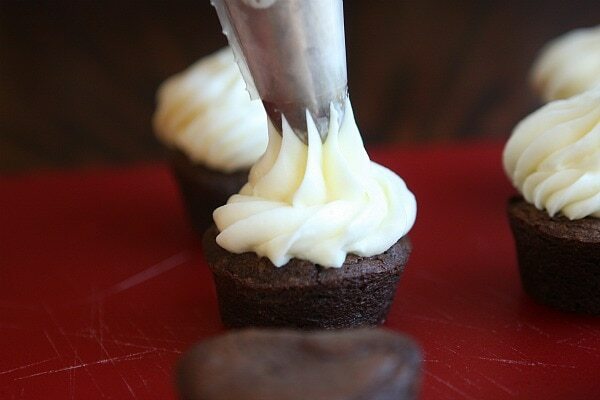 Pipe the frosting onto the tops of the brownie bites– or simple spread on a little bit of frosting. Get as fancy as you’d like. 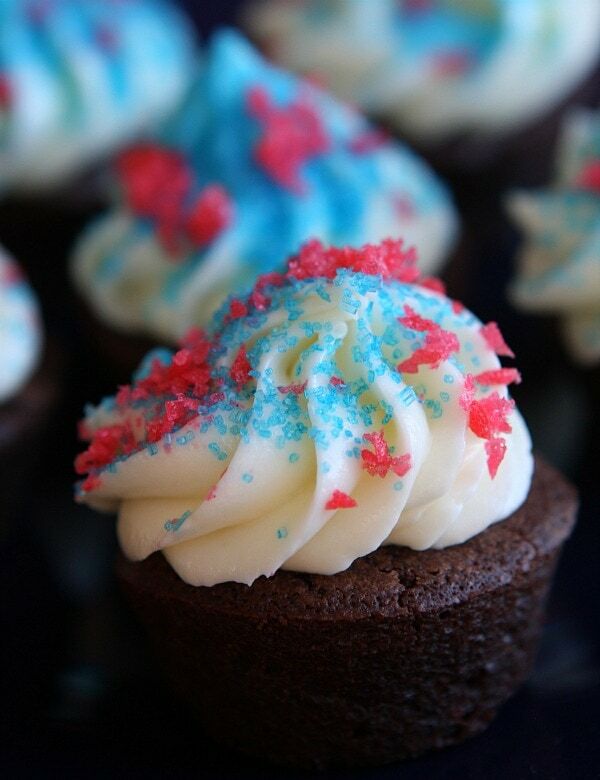 Add blue sprinkles. These are from Wilton (purchased at Michaels craft store). Here’s the really important part: refrigerate the frosted brownie bites for at least an hour or so- and until you are ready to serve these. Open up your Pop Rocks package and get out those crumbles! Sprinkle them onto the tops of the frosted brownie bites. Serve immediately, and let the fun begin. 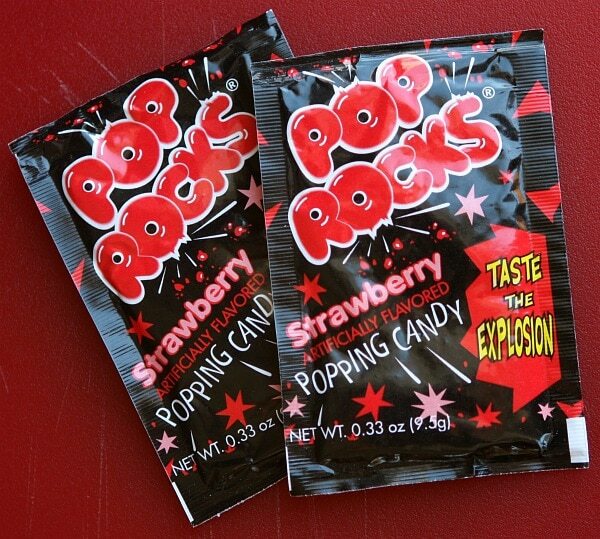 The Pop Rocks will do a little bit of crackling in your mouth as you eat them. 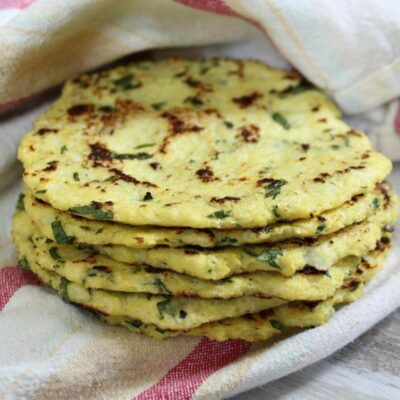 Don’t let them sit around all day, and if it’s a hot and humid day then you’ll need to eat them very quickly. Pop rocks don’t like humidity! You’ll likely hear some crackling while they’re sitting on your serving platter, which means they lose a little bit of that explosion factor… but if they’re gobbled up fairly quickly then the explosions in your mouth will still happen! Have a happy, safe, & delicious 4th of July! Yield: As many as you'd like to make! 1. Frost brownie bites with desired frosting, using a piping bag with a fancy swirl-- or simply spread on a bit of frosting. 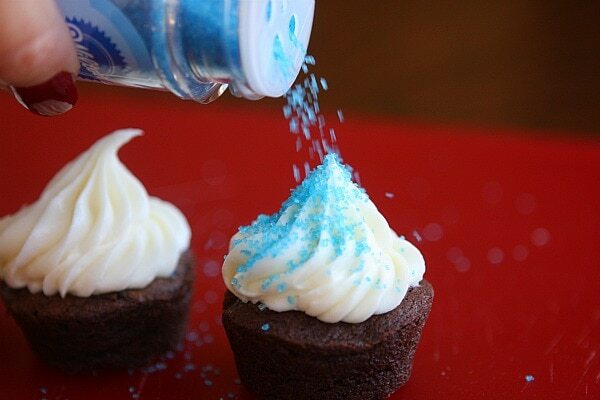 Sprinkle them with blue sprinkles. Refrigerate them until you are ready to serve (you really want to let that frosting set up and get a little bit of a crust on it so it's not "wet" when you add the Pop Rocks. This is an important step! 2. 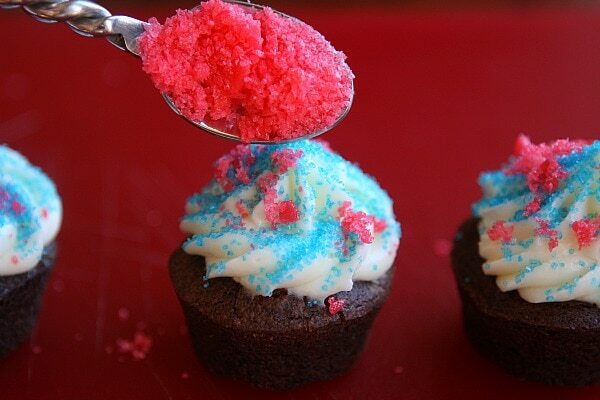 When ready to serve, open your Pop Rocks and crumble onto the tops of the cupcakes. You might hear a little bit of crackling from the Pop Rocks interacting with the frosting. Serve immediately! 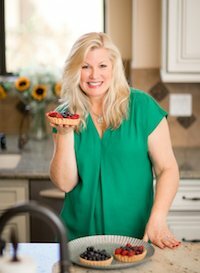 *Brownie tip: If you're making your own brownie bites, just be sure that you're using a recipe that isn't going to let the brownies rise into rounded-top muffins. You want the tops to be flat. 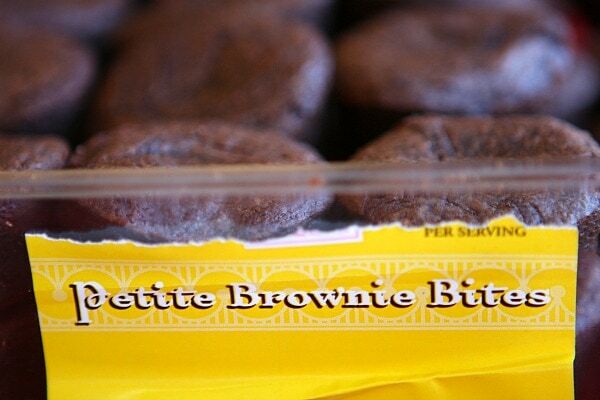 The store-bought brownie bites can usually be found in your market's bakery section. 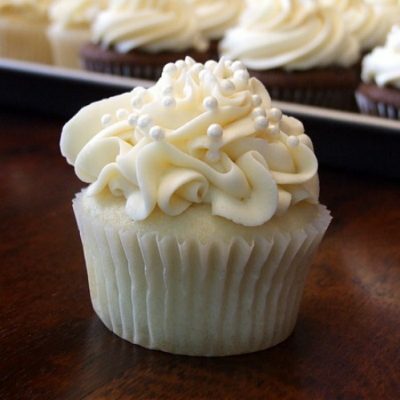 *Frosting tip: Don't use a recipe that turns out a really "wet" frosting. You need it to firm up a bit in the refrigerator. 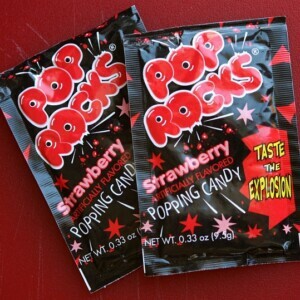 *Pop Rocks tip: Pop Rocks can be found in candy shops in the USA and sometimes at larger convenience stores like 7-11. I found mine at Old Navy! One package of Pop Rocks is enough for about 12 brownie bites. *Make ahead tip! These are a make-ahead recipe as far as the frosted brownie bites go... but don't add the Pop Rocks until everyone is ready to chow down. The "explosion" factor of the Pop Rocks is in danger if you add them to the frosting and then just let them sit... plus they'll melt into the icing eventually if they encounter a great deal of humidity or refrigeration. How fun!! I wish I had seen them before the 4th. How fun! We are on vacation and the hotel bar has a “sparkler” cocktail with pop rocks. We gave out Pop Rocks to my sons’ friends as a treat at his birthday party. They got such a kick out of them. 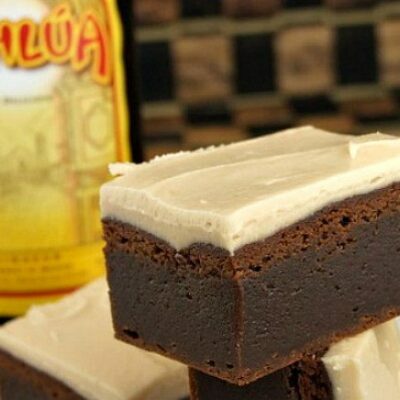 These brownies would have been a huge hit! You are so creative! 🙂 I love it! You are brilliant! (Really, can anyone ever get sick of hearing that about themselves???) Love this idea!!! 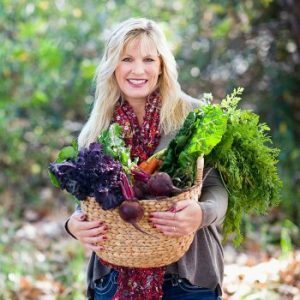 Oh these are looking so festive, Lori! So cute, clever, and PERFECT for the 4th of July! 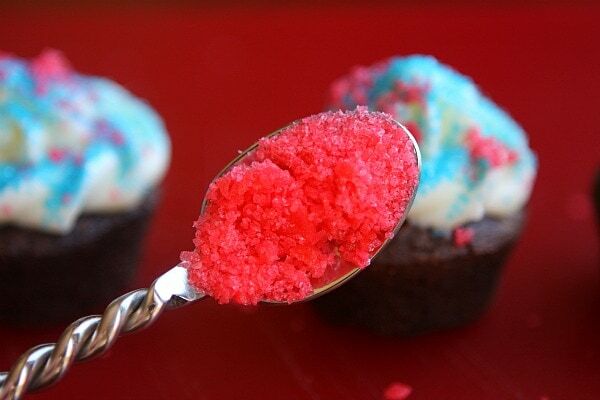 I used to love pop rocks and I’d definitely love them with brownie and frosting, what a fantastic festive idea!